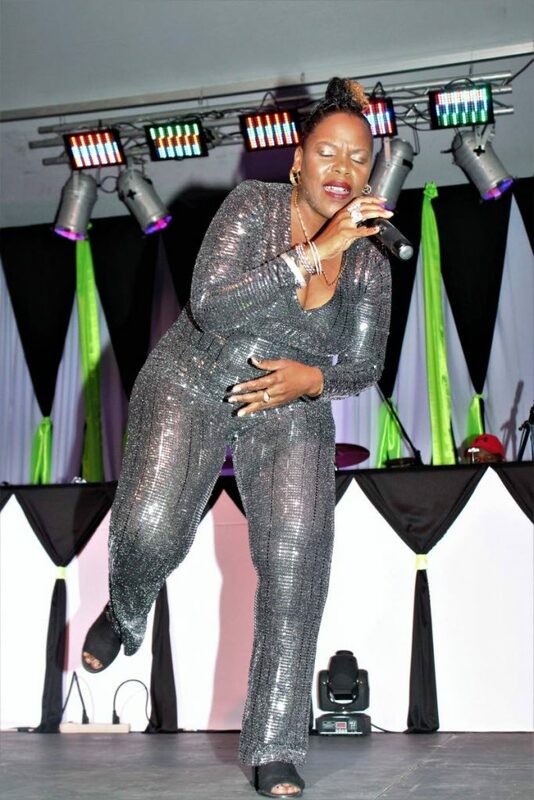 The husband and wife team of Sharlan Bailey and Tammico Moore had Kaiso House jumping and singing at the official opening of the calypso tent on Saturday evening at the Queen’s Park Savannah. 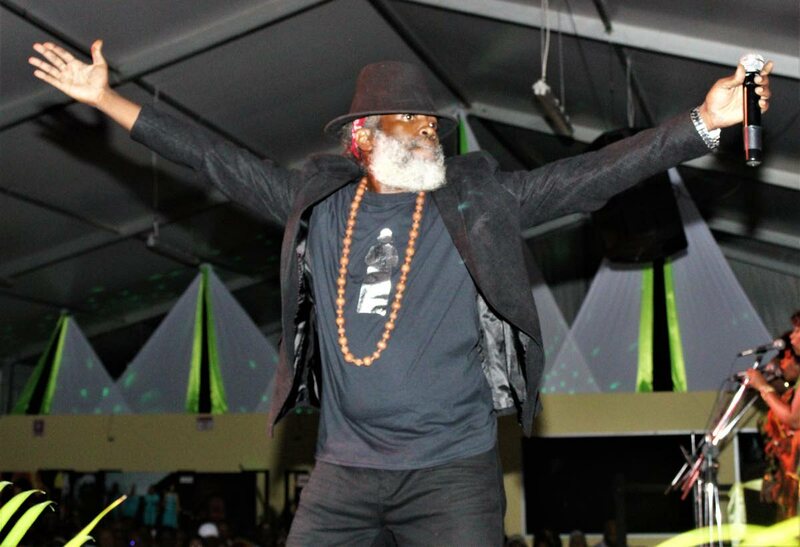 Looking a replica of his father Winston (Shadow) Bailey, Kaiso House was literally on fire as the Dread Wizard (Sharlan) performed his song Raising Hell. From the moment the Dread Wizard hit the stage there was a roar of approval because he looked so much like his father. But when he started to sing things got hotter. Run Boy Run a line in the song was the refrain from the audience lapping up the performance. He received several encores. Just about ten minutes later Spicey came on stage to do a song De Crow which explained that you don’t have to win a crown to be a calypsonian. She received applause after each verse of the song coupled with several encores. Sharlan Bailey was seen in the audience with a clench fist in the air during Spicey’s performance. Lasana kicked the evening off with Thanks for the Music, he was followed by Blacksage with Humour for the Crown. Debutant Atiba had some trouble with the sound and the audience was robbed of his contribution called Dead Beat Dad. There was a constant flow of songs which kept the audience glued to the stage and they revelled in the humour from Lady Aeisha (Lingerie Shopping) and Bunny B (Cockroach Spray). The 2011 Calypso Monarch Karene Ashe added a touch of humour in her Loco & Broco, a song about the increase of female Venezuelans in Trinidad and Tobago. 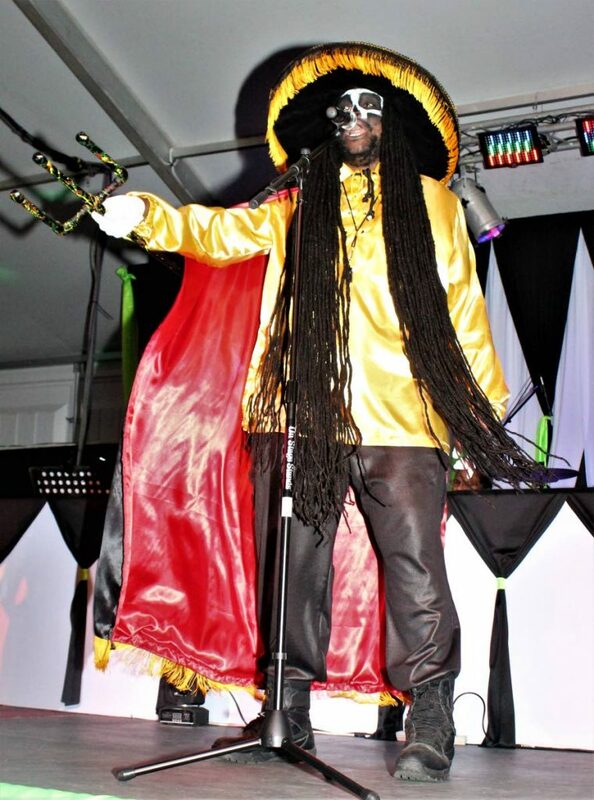 Mistah Shak turned Girot with fork in hand to relate Jouvert Demons, a band of politicians. He received several encores before the intermission. Pelf has grown into a very good master of ceremonies and had the audience entertained throughout the session. Kaiso House took intermission at 11 pm which, according to people who attended, is still too late for most members of the audience as they did not return for the second session. The show will be more dynamic with a better packaging of artistes and shorter duration, some people said. Reply to "Raising Hell lights up crowd"